‘F1’ Number Plate For Sale at US$17 Million! Special number plates are often bought with sentimentality or, sometimes, to cement one’s place in society. For some, it is their way of finding fulfillment. For others, standing out from the crowd is worth the effort…and money. Whatever the case may be, special number plates always turn heads. Not only that, people look at you and treat you differently. Afzal Kahn is no stranger to the outrageous. The owner and founder of Kahn Design, he was crowned ‘King of Customisation’ by Autocar magazine. In 2008, Kahn purchased the 109-year-old ‘F1’ plate for £440,000 (US$617,000 in today’s currency), which was then a record in the UK for the most expensive plate sold at an auction. It now can be seen on a Bugatti Veyron Super Sport Carbon Edition. 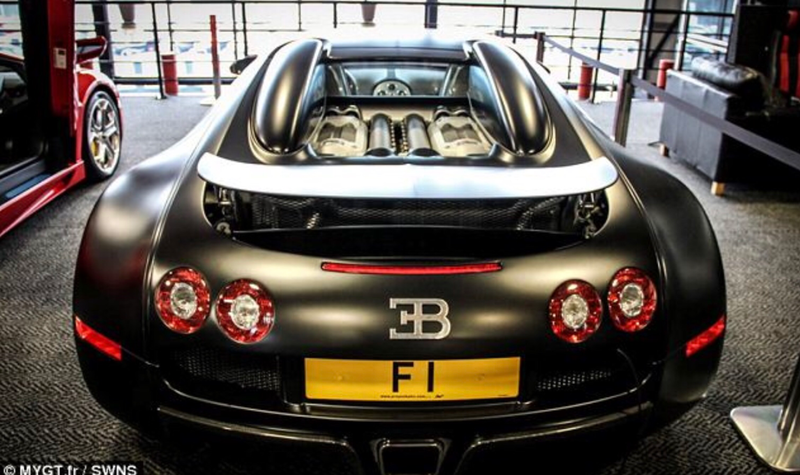 Kahn was offered £6 million in 2013 for the number plate but turned it down. Now, he has relisted the number for sale on RegTransfers, asking for a whooping £12 million (US$17 million), before taxes. If there is any taker, the plate would be the most expensive one ever sold in the UK. It’ll surpass ’25 O’, which sold for £518,480 (US$728,000) in 2014 and ended up on a Ferrari 250 GT SWB at that time. Malaysians Stand A Chance to Win Big by Naming National Carmaker PROTON's First SUV!